Yep it's been a great fall even with the fires and such here in Montana. 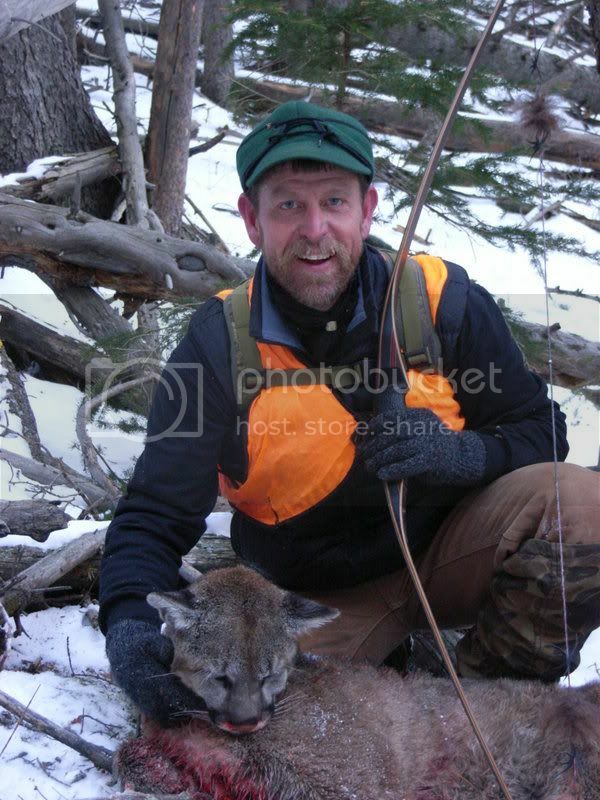 Took this cougar after a couple weeks hunting and three days behind the hound. See the story "The Lion Hunt" on PowWow. Widow LBV, 62@27, wood shaft and stone point. Congrats again on a fine hunt my friend!! !